My wife and I returned from our honeymoon last Sunday so expect some posts soon on our travels. Photos and reviews coming soon! 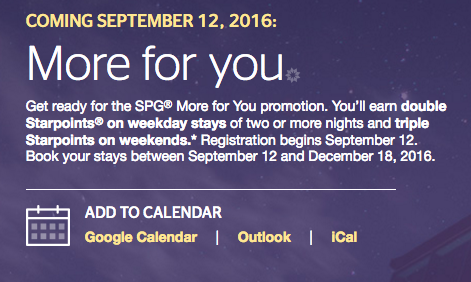 In the meantime, I wanted to share with you a success and opportunity for you from Starwood’s More For You promotion that is upcoming. 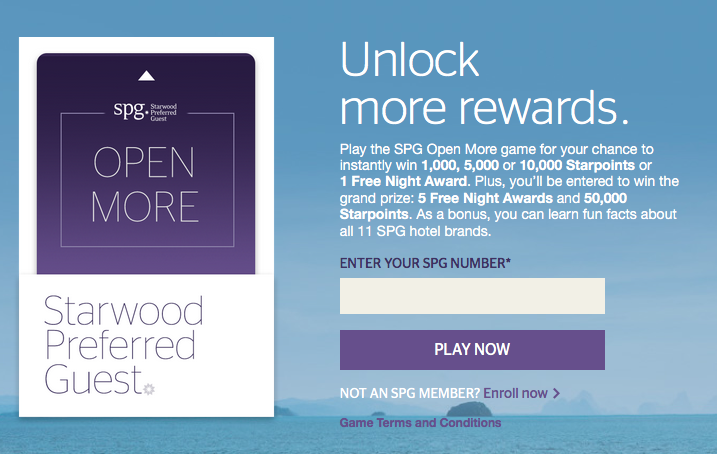 If you are a member of the Starwood Preferred Guest (SPG) program like I am you have the opportunity to earn more points than usual if you stay at one of their properties. 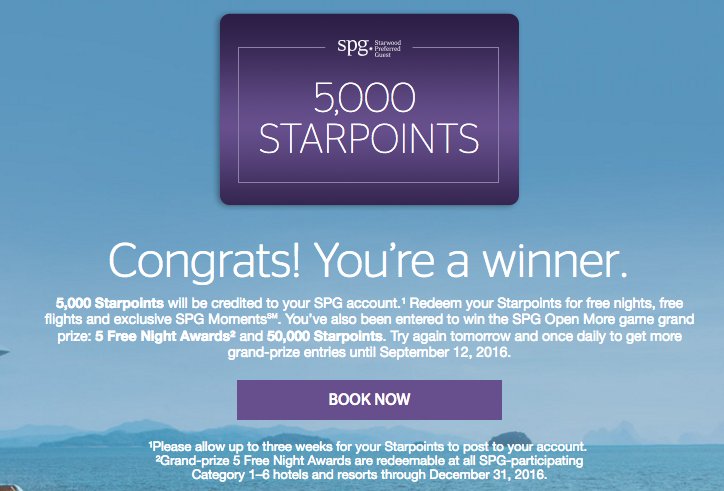 Before September 12, however, you have the opportunity to win a whole bunch of Starpoints very quickly. 1,000, 5,000, or 10,000 points are up for grabs! According to The Points Guy’s most recent valuation, that is worth $25, $125, or $250 dollars just for clicking on some links! I’ve been inputting my wife’s and my SPG number daily and was lucky enough this morning to win 5,000! You never know what you can win and these points will help us get either a hotel or flight to our next travel destination. Start clicking!